Shaw, Murray C.. "Laurie Graham". The Canadian Encyclopedia, 10 February 2014, Historica Canada. https://www.thecanadianencyclopedia.ca/en/article/laurie-graham. Accessed 20 April 2019. Laurie Graham, alpine skier (b at Orangeville, Ont 30 Mar 1960). A skier from the age of 5, she began competing in the Nancy Greene Ski League at 10 and reached the international circuit at 17, winning the Nor-Am downhill championship in her first year. 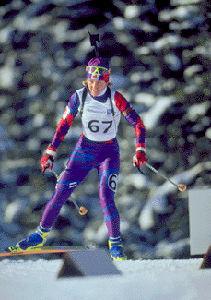 Laurie Graham, alpine skier (b at Orangeville, Ont 30 Mar 1960). A skier from the age of 5, she began competing in the Nancy Greene Ski League at 10 and reached the international circuit at 17, winning the Nor-Am downhill championship in her first year. Over the decade since her debut on the World Cup circuit in 1977, she became one of its best known and accomplished skiers, winning 6 races including the first World Cup downhill held in Canada at Mt Tremblant, Qué, in 1983. 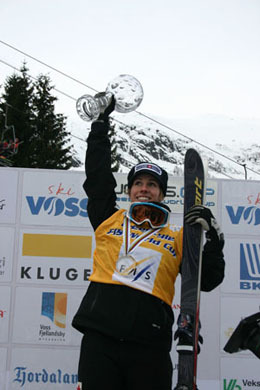 As a downhill specialist known for her technical skill, she also demonstrated great versatility at Puy St Vincent, France, in 1984 by becoming the first Canadian to win a World Cup Super Giant Slalom, and she has also amassed the most downhill wins by a Canadian woman (5 in all). In addition to representing Canada at world competition, she was on the Canadian team for 3 OLYMPIC GAMES (1980, 1984 and 1988), where her best showing was a 5th at the Calgary Olympics in 1988. She retired in 1988. Known for her exceptional sportsmanship and leadership qualities, Laurie Graham was named Canada's Female Athlete of the Year in 1986 and made a member of the ORDER OF CANADA in 1988. She was also inducted into the Canadian Ski Hall of Fame in 1991, CANADA'S SPORTS HALL OF FAME in 1993 and the Canadian Olympic Hall of Fame in 2000.